Combining extensive interviews with his own experience as an inmate, John Irwin constructs a powerful and graphic description of the big-city jail. Unlike prisons, which incarcerate convicted felons, jails primarily confine arrested persons not yet charged or convicted of any serious crime. Irwin argues that rather than controlling the disreputable, jail disorients and degrades these people, indoctrinating new recruits to the rabble class. In a forceful conclusion, Irwin addresses the issue of jail reform and the matter of social control demanded by society. 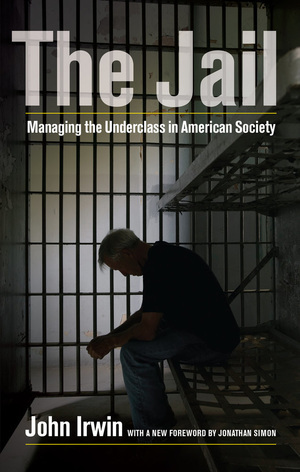 Reissued more than twenty years after its initial publication with a new foreword by Jonathon Simon, The Jail remains an extraordinary account of the role jails play in America’s crisis of mass incarceration. John Irwin (1929 - 2010) was known internationally as an expert in the American prison system. He earned his Ph.D. in Sociology from the University of California Berkeley and taught as a professor at San Francisco State University. He is the author of The Felon (UC Press), Scenes, Prisons in Turmoil, It's About Time: America's Imprisonment Binge (with James Austin), Lifers: Seeking Redemption in Prison and The Warehouse Prison: Disposal of the New Dangerous Class.